DOTA 2 weekly patch update is officially out. DOTA 2 fans were very keen to see some exciting new changes in recent patch. 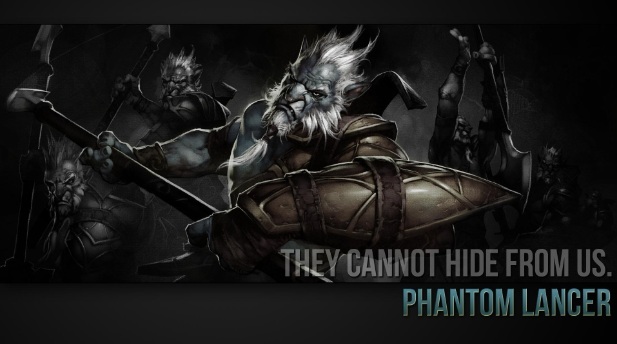 The highlights of 10th May patch notes is addition of Phantom Lancer in Captain’s mode. Concentration of the developers was towards the addressing of some critical errors and heroes which will clearly flourish in this update. Moreover you can see some GUI fixes which somewhat irrelevant for most of the gamers. Enabled Phantom Lancer Phantom Lancer in Captain’s Mode. Fixed turn rates for the following heroes: Lifestealer, Alchemist, Clockwerk, Bounty Hunter, Dark Seer, Dazzle, Ancient Apparition, Brewmaster, Chen, Silencer, Lone Druid, Spectre and Spiritbreaker. Fixed Unstable Concoction self explosion still stunning you if you are invulnerable. Fixed night vision being too small. Fixed Unstable Concoction damage being too small. Fixed being unable to nightmare non-hero units. Fixed Flamebreak to not trigger Sphere. Fixed Aghanim’s Primal Roar cast range being 50 too short. Fixed attack range being 138 instead of 128. Fixed critical strike working against wards. Fixed base HP regeneration (0.25->0.75). Fixed Primal Split’s Wind element being unable to Dispel Sandstorm. Fixed Power Cogs bounty being too small. Fixed Power Cogs knockback speed and distance being too small. Fixed Rocket Flare reveal aoe. Fixed Power Cogs having very small night vision. Fixed Vacuum tree aoe destruction being too big. Fixed very minor inaccuracy on Dragon Form attack range. Fixed Chaos Meteor burn damage being a little too low. Fixed Omnislash selection aoe being slightly too big. Fixed Feast working against wards. Fixed base HP regeneration (0.25->0.5). Fixed Spirit Bear getting trapped in Power Cogs and Sprout. Fixed Entangling Roots working on wards. Fixed Shapeshift speed boost disappearing from other units upon Lycan. Fixed other controlled units not getting movement buff if created after Shapeshift was cast. Fixed Shapeshift not healing for the amount of bonus HP he gains. Fixed being able to heal under Ice Blast. Fixed arcane orb doing bonus damage to Warlock illusions. Fixed channel time on level 4 Phase Shift. Fixed Life Drain range not improving with Aghanim’s Scepter. Fixed Blink Strike not guaranteeing a backstab proc. Fixed Requiem of Souls travel distance being too small. Fixed Crush duration on creeps. Fixed Golem’s Flaming Fists doing half damage in a bigger aoe. Fixed Force Staff cast range (600->800). Fixed Bloodstone charge loss from 30 to 33%. Fixed Shiva’s Guard blast radius. Fixed Manta invulernability duration (0.23->0.1). Fixed Tranquil Boots broken movement speed being too low. Fixed Shiva’s Guard not granting unobstructed vision during the cast phase. Fixed Satyr Hellcaller’s Shockwave doing less damage than intended. Fixed Neutral Ursa Warrior Thunder Clap doing 20% slow instead of 25%. Fixed Ghost’s frost attack missing 15 bonus damage. Fixed minor inaccuracy on dire range upgraded creeps bounty. Fixed Ogre Mauler having 3 extra armor. Fixed Spirit Bear bounty being too low. Fixed Healing Ward vision radius. Fixed Lycan Wolves giving too much XP. Fixed Freezing Field ground slow aoe being slightly off. Fixed Heaven’s Halberd’s disarm not being dispellable. If no stats will be recorded for a match due to someone leaving too early the abandonment message will now reflects this. Added an option for simplified controls, where right clicking always moves, and left clicking performs all actions. Fixed hero-type units (like Brewmaster’s splits) being able to purchase items directly into the Stash from the Secret Shop. Added free camera control for Spectators and Replays (dota_free_camera in the console). All events involving player-controlled units now show up in the combat log. Added new Director event for when Roshan spawns. Fixed smoke of deceit not making some heroes invisible (it was visual only). Fixed bug that would cause bots to clump at the center of map rather than roaming to gank a target. Fixed bug that would cause bots to run out of the fountain prematurely sometimes rather than healing up. Bots should now only buy TP scrolls when at the home base or side shops, and will want to buy a TP scroll if they don’t have one in their inventory. Bots will now only buyback after the laning phase is done. Vengeful Spirit bot will now use Nether Swap to interrupt channels. Bots will now forget whether a hero is an illusions or not when they lose sight of it. Bots will now properly disable themselves for team-balance even if the opposing player disconnects before hero selection. Made bots doing something else more responsive to Push ping requests. Made bots more wary about trying to farm lanes with enemies potentially nearby. Made Razor a carry for now to help him get selected more. On Easy, bots will no longer use Force Staff, Orchid, or Phase Boots. Reworked how Roshan desire is computed, it’s now done on a per-team basis rather than per-hero. Fixed bug where bots wouldn’t buy back once they’d run out of items to buy. Fixed bug where Earthshaker bot’s desire to Enchant Totem would somtimes override his desire to Echo Slam. Fixed bug that would cause Tidehunter bot to occassionally use Ravage on just creeps. Bots that are healing in the fountain will no longer run out to meet their courier. Fixed Crystal Nova AoE radius. Fixed bug where randoming in SD or RD could result in getting a hero not available to you. Fixed crash when loading the map again. Fixed bug in replays not playing back correctly. Fixed one case of the broken chat bug. Fixed PL illusions who are too far away from generating fake projectiles. Fixed some PL illusions having a broken timer circle.